In this article, I’ll show you how to get automatic UPS shipping prices in Flexible Shipping Connect using UPS API and Live Rates. Of course, I’ll show you also how to configure Custom Rates if you want to have everything under control. UPS API is an excellent way to get all the information from this popular carrier. I wrote more about connecting it with Flexible Shipping plugin in the previous article. We use it in our Connect service which checks the shipment pricing directly in UPS’ system. This way you can always get the right pricing, completely automatically. This post is a part of our comprehensive guide series of the Flexible Shipping Connect service. How to automate WooCommerce shipping label generation? 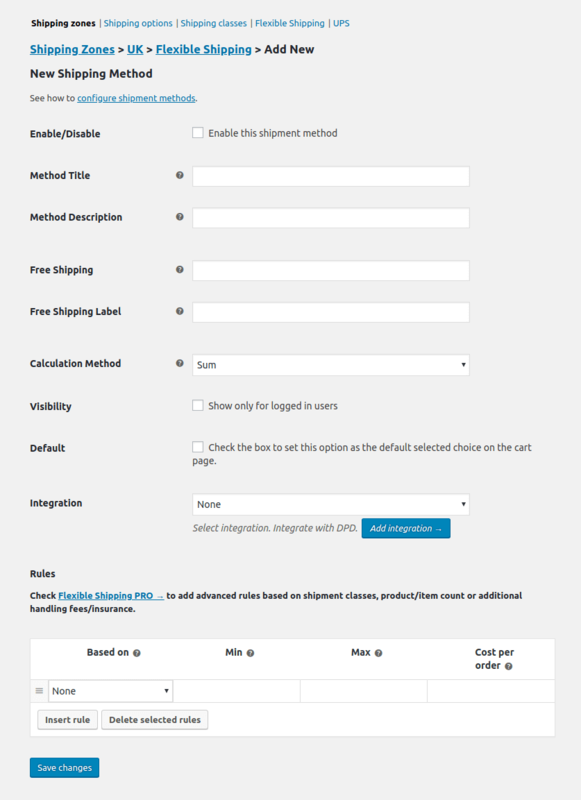 First, make sure that you have installed the Flexible Shipping plugin and activated Connect service. I wrote about that in the previous article. If you had configured everything, you can add a new UPS shipping method. 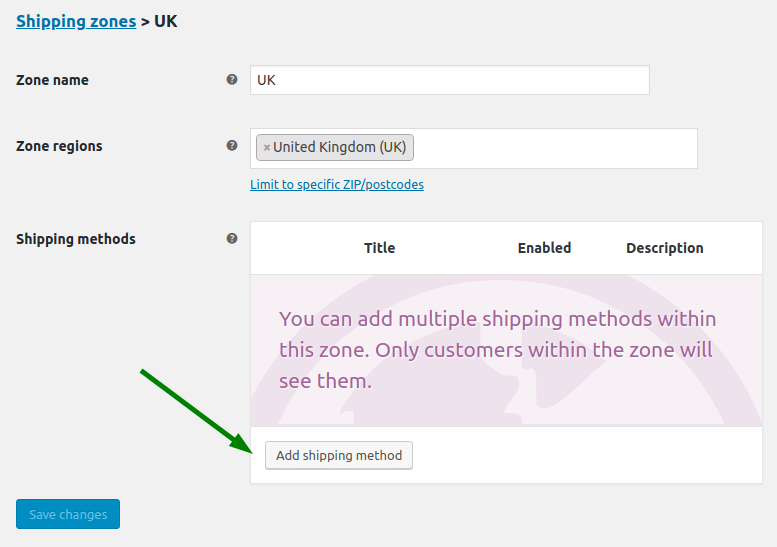 Simply go to WooCommerce → Settings → Shipping and click the shipping zone, f.e. UK. 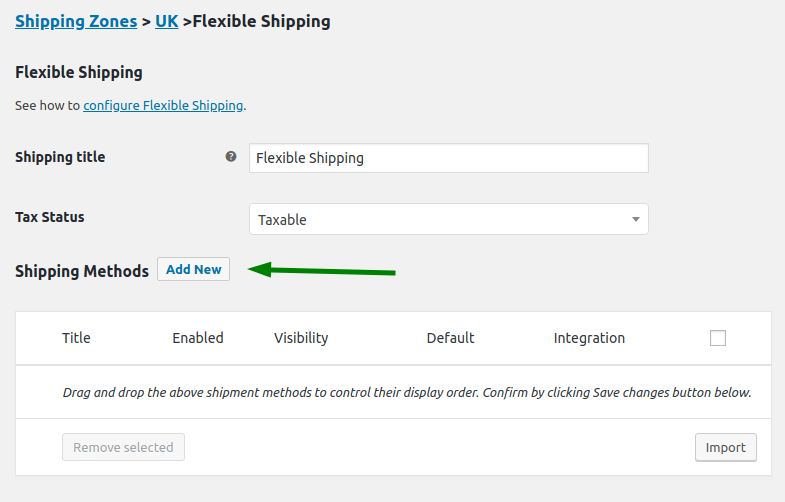 Select Flexible Shipping and then again click Add shipping method. When the Flexible Shipping method is created, click on it to proceed. Now you can finally add new shipping methods. You can create any number of them. For now, click Add new to create a first one. 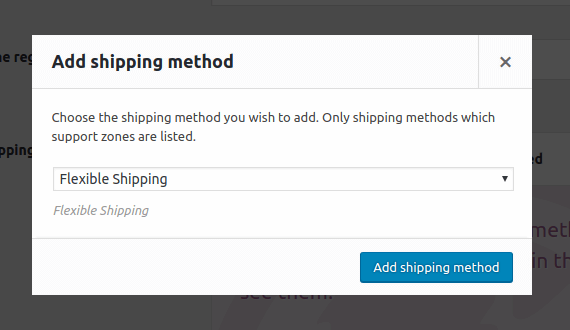 When you add a new shipping method, you can configure it. In this article, I’ll focus on UPS integration, but you can read more about it in our doc – how to set shipping method in Flexible Shipping. Part of the configuration that we are interested in is an Integration field. 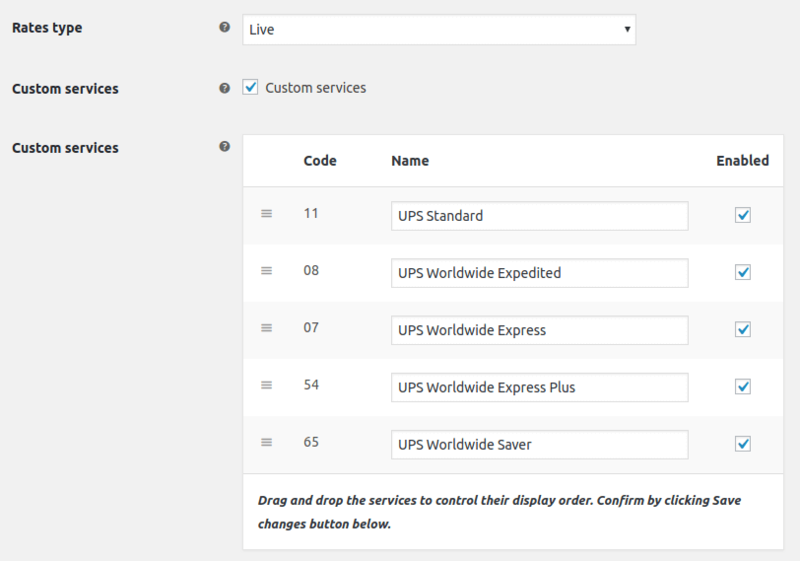 Select UPS, and now you can choose between Live and Custom Rates. Live Rates work for both domestic and international shipments. All UPS services are enabled by default, but you can choose which one of them should appear in your store. To do that, mark Custom services checkbox and disable unwanted services. You can also control their display order. And that’s all. Shipping prices will be automatically loaded from UPS service and you don’t have to worry about any unexpected changes. It’s the magic of FS Connect! But we are aware that sometimes bad things happen. That’s why we added the Fallback option. You can provide there an optional flat rate which will be active when UPS doesn’t offer prices. Usually, it means that their API doesn’t work. But with Fallback enabled, your store works fine even then. Of course, you may want to have different rates than enforced by UPS or just don’t trust these kinds of features. In this case, select Custom option and choose a Service type you want to configure. Below this field, you’ll find a price-based or weight-based table rate shipping rules. You can add unlimited rules based on cart total or a total weight of the cart contents in the free version. In PRO, you will be able to add rules based on the number of items in the cart and on the number of cart line items. Calculations are made in the order of rule in the table. You can change the order by simple drag & drop. 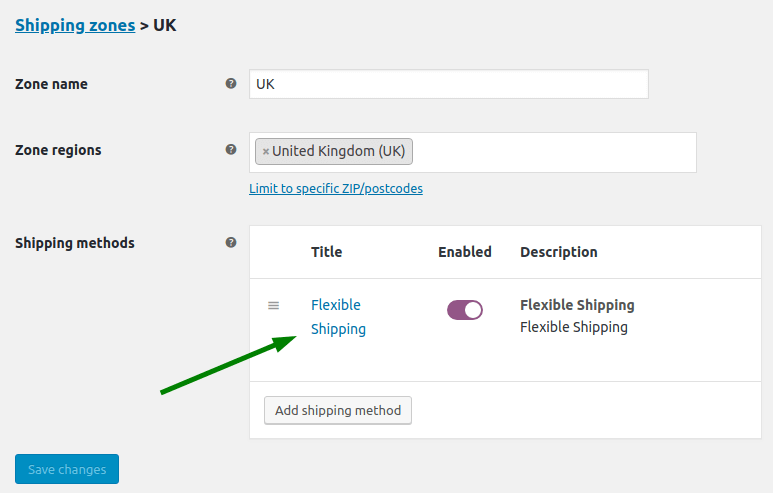 Flexible Shipping Connect can give you a lot of shipping options in your WooCommerce based store. You can integrate it with UPS and get the right prices without even thinking about it. That’s one less thing to worry about.